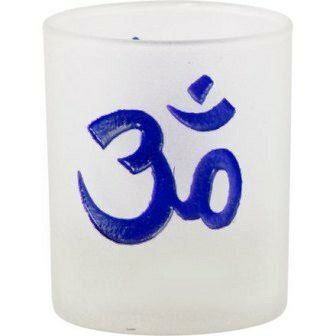 This frosted Glass votive holder is deeply etched and painted on both sides with a Purple OM symbol. The OM symbol represents oneness with the Supreme; the merging of the physical and the spiritual body. It is the symbol of Hinduism. Considered as the most powerful mantra; it transcends time.